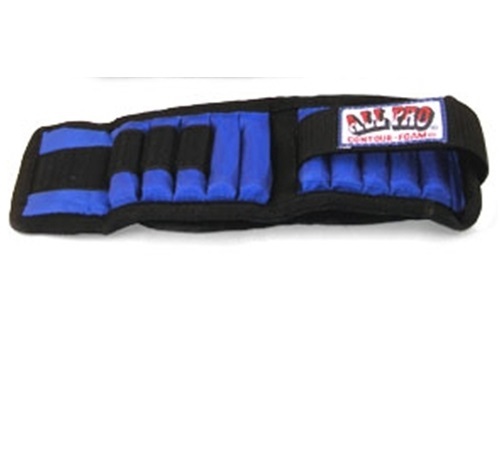 All-Pro Weight Adjustable 2-lb Wrist Weight permits full wrist range of motion including flexion and extension. 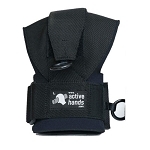 Designed for freedom of wrist and hand movement. 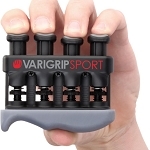 The All-Pro Weight Adjustable 2-lb Wrist Weight is a single wrist weight with individual weighted bars. 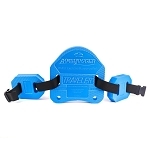 Users can add or remove the 1/5-lb solid iron weights for increasing resistance for therapeutic exercises. 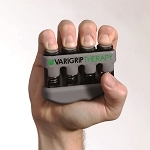 The All-Pro Weight Adjustable 2-lb Wrist Weight features a patented design by a former leading occupational therapist. 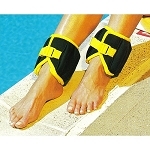 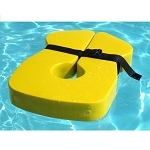 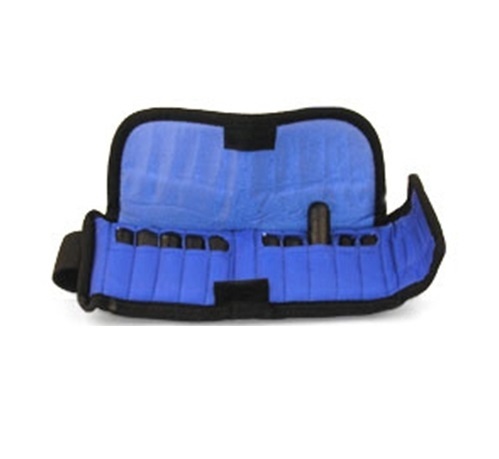 The contoured, padded flap keeps the weights secure and provides comfortable protection. 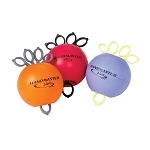 This hands free wrist weight permits the user full range of motion including flexion and extension, and radial and ulnar deviation. 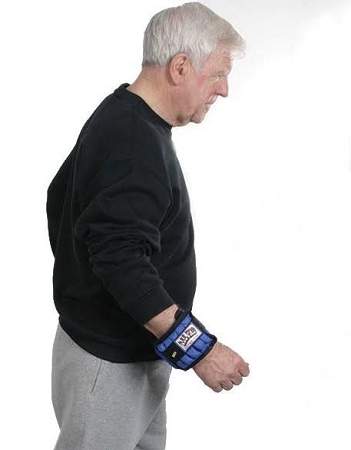 Users will find the contour foam padding, wrap around construction, and quick-touch fasteners make this wrist weight comfortable to wear when walking, exercising or rehabilitation. 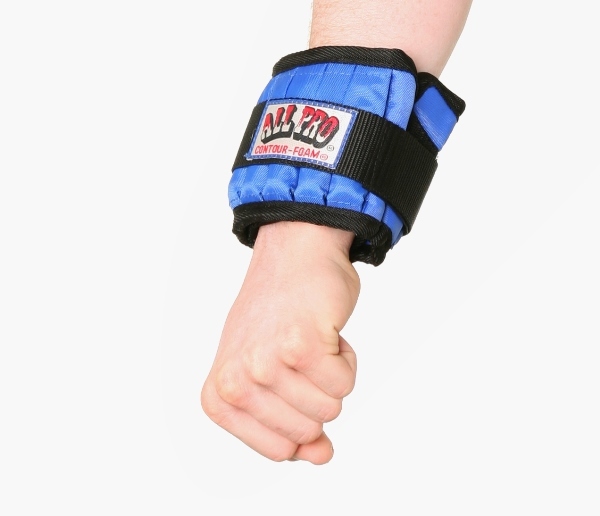 The All-Pro Weight Adjustable 2-lb Wrist Weight is designed for safety and comfort. 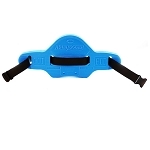 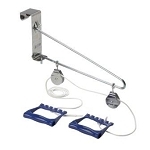 Includes: Single wrist weight with 10 individual 1/5-lb solid bar weights.